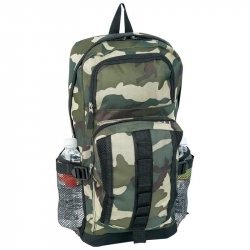 Rough and tough, the ExtremePak(TM) Digital Camo Backpack is ready and waiting for your next adventure. Provides enough pack and carry storage for all those trip essentials and will hold your belongings safely and securely. 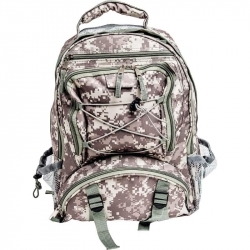 Good for so many uses: carry books between classes, overnight or weekend travel, diaper bag, camping bag, personal survival kit, hunting bag, or Bug Out bag. 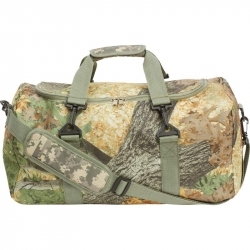 Contemporary digital camo print design is popular among hunters and outdoor enthusiasts. Padded mesh backing and color matched webbing. Chest strap and corded zipper pulls. 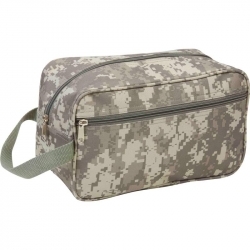 Features a zippered closure on the main compartment, a detachable/adjustable shoulder strap, square rubber feet, heavy-duty padded carrying handles, and 1 exterior zippered pocket. Measures 17' wide including side pockets, 9' tall and 10'-1/2 deep including front pocket. Features zippered main compartment; multiple zippered exterior compartments; detachable/adjustable shoulder strap; and hand straps with hook and loop fastener. Measures 21' x 13' x 10-1/2'. 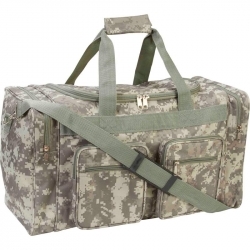 The Extreme Pak(TM) Camouflage Water-Resistant 23' Tote Bag includes a bonus interior "wet sack" to keep dirty or wet clothing or shoes away from the rest of the contents. Pack for a week or a weekend in the large zippered main compartment and multiple zippered pockets. 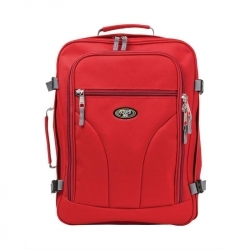 Features water resistant construction, easy to carry padded handles, and detachable/adjustable shoulder strap. Measures 23' x 11' x 11'. Features zippered main compartment, detachable/adjustable shoulder strap, padded handles, and 2 exterior zippered pockets. Measures 19' x 12' x 10'. With extensive compartmentalized space for your haul, this heavy-duty backpack is ready for your next outdoor excursion. The useful nylon rope-pulls allow you to secure your bag or attach a number of additional supplies. Features hunter orange trim, 3 exterior zippered pockets, 2 exterior mesh pockets, 1 zippered interior pocket and adjustable shoulder straps. Measures 15' x 23' x 8-1/4'. 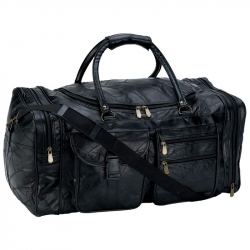 Features zippered exterior compartment, roomy interior compartment, and hand strap. Measures 11' x 7' x 5'. 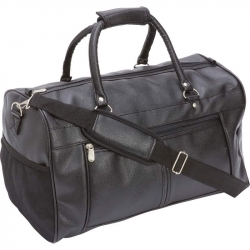 The versatile Embassy(TM) Travel Gear Faux Leather 21' Tote Bag can be used as a travel bag, gym bag, or work bag. Sophisticated high-quality man-made Angola material looks expensive and is very durable. 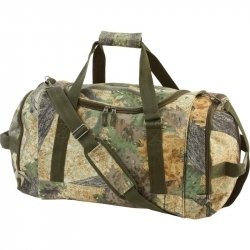 Heavy-duty handles and detachable/adjustable shoulder strap. Fully lined. Measures 21' x 12-1/2' x 10-1/2'. 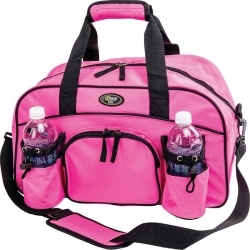 The Extreme Pak(TM) Pink 18' Sport Duffle Bag is as sturdy and durable as it is fashionable. The zippered-closure main compartment is roomy enough to pack for a weekend away, or stash your workout clothes for a quick trip to the gym. Zippered main compartment, one exterior pocket with zippered closure, two drawstring bottle holders, padded handles, and a removable, adjustable shoulder strap. Made from rugged 600d nylon. Great gift idea for the student athlete! Measures 18' x 10' x 8-1/2'. Features multiple zippered pockets, mesh side pockets and padded back. Measures 10' x 18' x 5'. Everyone needs a carry-on bag that does double-duty as a backpack. 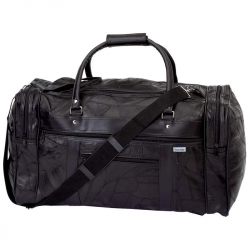 If you are a weekend traveler who wants to travel light, this piece is just the right size even to take on a hike. Perfect for the student to carry class materials around hands-free or for a workout at the gym. This one piece does it all with a stylish fire-engine red and jet black polyester shell built to last. The Embassy(TM) Italian Stone(TM) Design Genuine Leather 21' Tote Bag has it all! It's functional, roomy and convenient. Featuring 2 roomy zippered saddlebags on each end, 2 zippered outer pockets for small items, and a pocket on the end to stash your cellphone on the plane. The interior is big enough to take several days' worth of clothes and essentials. This Embassy(TM) bag can carry everything you need for a short trip, effectively eliminating the hassle of going through baggage claim. 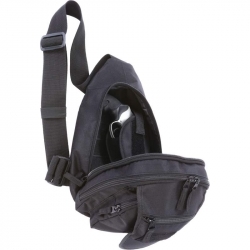 It also includes heavy-duty comfort-grip handles and an adjustable/detachable shoulder strap. Measures 21' x 11-1/4' x 10-1/4'. This leather tote is made for the journey, and will hold everything you need for a long weekend trip. 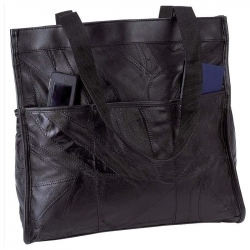 The Embassy(TM) Italian Stone(TM) Genuine Cowhide Leather 25" Tote Bag is functional, roomy, with more than enough conveniently placed pockets to stash everything from cell phone to shoes. Whether business or pleasure travels, get everything in order with this spacious, structured tote. It's everything you could ask for! Where will you take yours? Features zippered main compartment, 2 roomy, zippered saddlebags on each end, 2 front zippered outer pockets, and an additional clasp-closed front pocket. 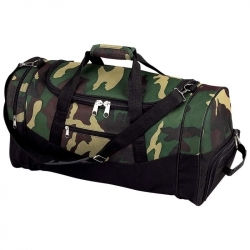 Featuring heavy-duty, comfort grip handles and an adjustable/detachable shoulder strap. Measures 25'x12 1/2'x12 1/2'. 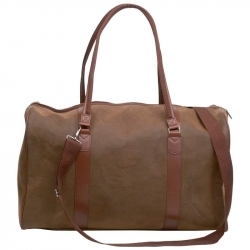 The Embassy(TM) Italian Stone(TM) Design Genuine Leather Shopping/Travel Bag is a handy tote for trips to the store or mall, a day trip to the beach, events, or anywhere you need to take extras. Perfect to carry your camera, binoculars, a change of clothes, a makeup bag, work files, and more. An exterior front pocket and additional back and side pockets mean no item is left behind. 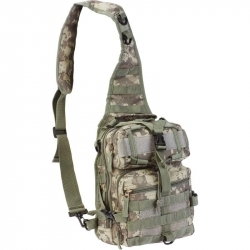 Reinforced, nylon webbed shoulder straps are comfortable enough to carry all day long. Measures 15' x 14-1/4' x 3-3/4'. Features zippered main compartment; detachable/adjustable padded shoulder strap; and padded hand straps with hook and loop fastener. Measures 19' x 9-1/2' x 9-1/2'. 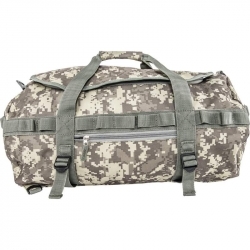 Featuring digital camo design and extensive space for your belongings, the Extreme Pak(TM) 20" Camo Tote Bag/Backpack is ready and waiting for your next outdoor adventure. Strong and durable 600D 100% polyester construction is made for wear and tear. A padded shoulder strap easily lifts pack weight, and the bag features color matched zippers, color matched webbing, and stitched zipper pulls. Added storage space in both front and side zipper pockets. Top zipper allows access to spacious bag interior. 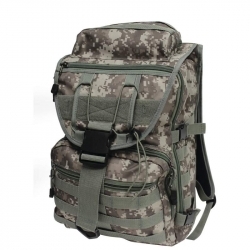 Day hiking, hunting trip, overnight camping, personal work essentials bag...there are so many ways to use the Extreme Pak(TM) Digital Camo 11' Sling Backpack we don't have room to list them here. 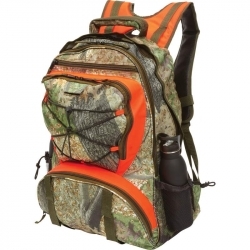 This top seller features heavyweight fabric construction, nylon compression straps, multiple accessory strap slots, multiple zippered pockets, multiple mesh interior pockets, carrying strap, adjustable padded strap, nylon rope pulls, and padded back pocket with snap closure. Measures 9-1/2' x 12' x 11'.